How to Convert Mental Seeking into Inner Realisation | Fourth Dimension Inc. The mental idealism is satisfied with having or thinking about the ideal in the upper layers of the mind. But in yoga we have to go beyond idealism to realization. This article describes the principles and methods for moving beyond the concept and the idea to inner experience and realization. The process outlined here is in the context of yoga and spiritual growth, for converting spiritual ideals into spiritual experiences and realization. But the main principles of the path can be applied to any mental, moral or aesthetic ideals or the seeking or aspirations of our higher mind or deeper heart. The central thrust of the effort is to shift the center of consciousness from the surface self to the inner being. For only in our inner being, the abstractions of the surface intellect become concrete experiential realities of consciousness. You have asked what is the discipline to be followed in order to convert the mental seeking into a living spiritual experience. The first necessity is the practice of concentration of your consciousness within yourself. The ordinary human mind has an activity on the surface which veils the real Self. But there is another, a hidden consciousness within, behind the surface one in which we can become aware of the real Self and of a larger, deeper truth of nature, can realise the Self and liberate and transform the nature. To quiet the surface mind and begin to live within is the object of this concentration. Of this true consciousness other than the superficial there are two main centres, one in the heart (not the physical heart, but the cardiac centre in the middle of the chest), one in the head. The concentration in the heart opens within and by following this inward opening and going deep, one becomes aware of the soul or psychic being, the divine element in the individual. This being unveiled begins to come forward, to govern the nature, to turn it and all its movements towards the Truth, towards the Divine, and to call down into it all that is above. It brings the consciousness of the presence, the dedication of the being to the Highest and invites the descent into our nature of a greater Force and Consciousness which is waiting above us. To concentrate in the heart centre with the offering of oneself to the Divine and the aspiration for this inward opening and for the Presence in the heart is the first way and, if it can be done, the natural beginning; for its result once obtained makes the spiritual path far more easy and safe than if one begins the other way. That other way is the concentration in the head, in the mental centre. This, if it brings about the silence of the surface mind, opens up an inner, larger, deeper mind within which is more capable of receiving spiritual experience and spiritual knowledge. But once concentrated here one must open the silent mental consciousness upward to all that is above mind. After a time one feels the consciousness rising upward and in the end it rises beyond the lid which has so long kept it tied in the body and finds a centre above the head where it is liberated into the Infinite. There it begins to come into contact with the universal Self, the Divine Peace, Light, Power, Knowledge, Bliss, to enter into that and become that, to feel the descent of these things into the nature. To concentrate in the head with the aspiration for quietude in the mind and the realisation of the Self and Divine above is the second way of concentration. It is important, however, to remember that the concentration of the consciousness in the head is only a preparation for its rising to the centre above; otherwise one may get shut up in one’s own mind and its experiences or at best attain only to a reflection of the Truth, above instead of rising into the spiritual transcendence to live there. For some the mental concentration is easier, for some the concentration in the heart centre; some are capable of doing both alternately – but to begin with the heart centre, if one can do it, is the more desirable. The other side of discipline is with regard to the activities of the nature, of the mind, of the life-self or vital, of the physical being. Here the principle is to accord the nature with the inner realisation so that one may not be divided into two discordant parts. There are here several disciplines or processes possible. One is to offer all the activities to the Divine and call for the inner guidance and the taking up of one’s nature by a Higher Power. 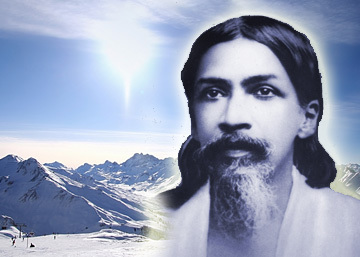 If there is the inward soul-opening, if the psychic being comes forward, then there is no great difficulty – there comes with it a psychic discrimination, a constant intimation, finally a governance which discloses and quietly and patiently removes all imperfections, brings the right mental and vital movements and reshapes the physical consciousness also. Another method is to stand back detached from the movements of the mind, life, physical being, to regard their activities as only a habitual formation of general Nature in the individual imposed on us by past workings, not as any part of our real being; in proportion as one succeeds in this, becomes detached, sees mind and its activities as not oneself, life and its activities as not oneself, the body and its activities as not oneself, one becomes aware of an inner Being within us – inner mental, inner vital, inner physical-silent, calm, unbound, unattached which reflects the true Self above and can be its direct representative; from this inner silent Being proceeds a rejection of all that is to be rejected, an acceptance only of what can be kept and transformed, an inmost will to perfection or a call to the Divine Power to do at each step what is necessary for the change of the Nature. It can also open mind, life and body to the inmost psychic entity and its guiding influence or its direct guidance. In most cases these two methods emerge and work together and finally fuse into one. But one can begin with either, the one that one feels most natural and easy to follow.